Late last year, bluesy Vancouver combo No Sinner bounced out the gates with their debut video "Boo Hoo Hoo," and now that track acts as the anchor to their upcoming debut EP of the same name. A press release explains that the seven-song Boo Hoo Hoo comes out April 24 through First Love Records and features the group's "familiar mix of blues, rock and soul." While it collects both tracks off the recently released "Boo Hoo Hoo" / "Love Is Madness" seven-inch single, the other five songs are exclusive to the release. 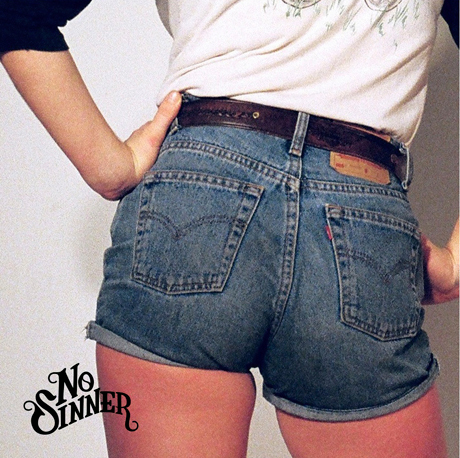 The EP was co-written by frontwoman Colleen Rennison and former Hot Hot Heat bassist Parker Bossley, but No Sinner's ties to Vancouver's music scene don't stop there. The group also features former Matthew Good Band skinsman Ian Brown, Black Mountain bassist Matt Camirand and guitarist Eric Campbell. On top of the new EP, the band are also in the midst of planning a summer tour, with dates to be announced sometime soon.